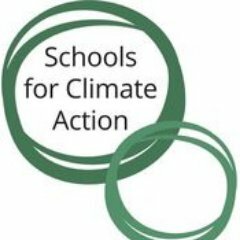 Schools for Climate Action is a non-partisan, grassroots, youth-adult campaign with a mission to empower schools to speak up for climate action in order to protect current and future generations. Schools for Climate Action helps school boards, student councils, PTA's, teachers' unions, and school support organizations to pass resolutions that do three things: Drive a paradigm shift so people recognize climate change as a generational justice issue. Clearly articulate the political will for all elected leaders, especially Members of Congress, to support or enact common-sense climate policies (such as national carbon pricing, 100 percent clean energy policies, green infrastructure investments, and just transition plans). Celebrate and expand school district responses to climate change.